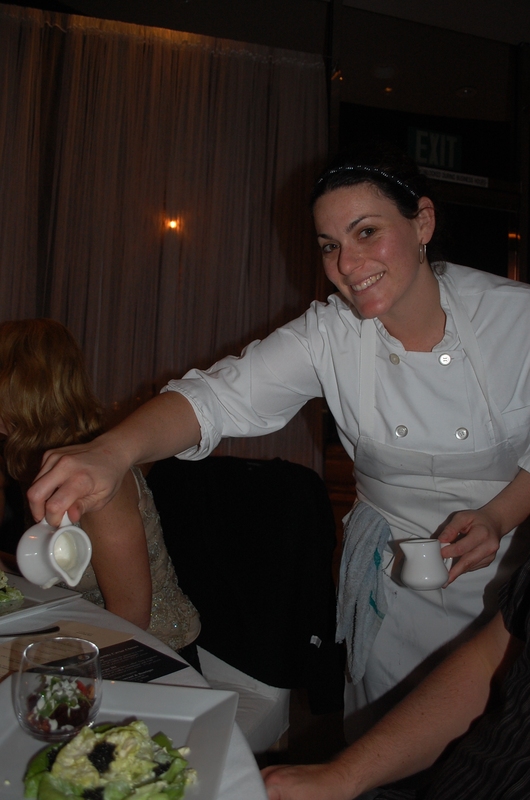 I was excited to meet chef Giselle Wellman and experience her cooking at Petrossian Boutique and Restaurant. This 27-year-old has been the Executive Chef for a little over a year and has creatively tweaked the menu. Born and raised in San Diego, both her parents are Jewish and from Mexico City. “There is a huge Jewish community in Mexico City,” Wellman said. “During the war when people from Europe came to Ellis Island and found it closed, they went south to Mexico,” Wellman informed my group of enthusiastic diners. “I used to help my mom prepare Shabbat dinner,” Wellman said. According to Wellman, her mom wasn’t a good cook, so she always tasted the food before it was presented to the table. “I advised my mom to add more salt and spice to each dish,” Wellman said. She used to squeeze lime on the Matzo ball in the soup.